How to watch Durarara! !X2: Ketsu (2016) on Netflix Netherlands! Yes, Durarara! !X2: Ketsu is now available on Dutch Netflix. It arrived for online streaming on July 1, 2018. We'll keep checking Netflix Netherlands for Durarara! !X2: Ketsu, and this page will be updated with any changes. Six months after turmoil rocked the city of Ikebukuro, peace has returned. But the headless Celty still rides, and a new scheme is afoot. The people of Ikebukuro thought their lives had returned to normal, but things are about to get even weirder. Shou of Durarara! !X2 has 12 episodes. Because different Netflix countries have different availability for episodes, you'll need to check the episode listing below to see which are available in the Netherlands. Six months have passed and the city of Ikebukuro seems unchanged, until a serial killer known only as "Hollywood" begins to strike. Ten million yen is offered for the identity of Celty Sturluson. Raira Academy welcomes new students Mairu and Kururi, Izaya Orihara's sisters. Enigmatic celebrities Ruri Hijiribe and Yuhei Hanejima have a chance meeting that gives them a reason to reveal their secrets to each other. While transporting some mysterious luggage, Celty must escape the biker gangs out to collect the 10 million yen bounty that was placed on her. The city is at peace again, but not for long: The womanizing leader of the Toramaru gang visits Shizuo and Celty receives a request from the Awakusu. Unaware that Celty has been attacked, Shinra is visited at home by Shizuo and the mystery girl. Mikado tries to confirm a bad rumor about the Dollars. After fleeing the company, Vorona and Sloan act as hit men in Japan. Dennis and Simon watch as Egor, the "Philosophical Killing Machine," gives chase. Traveling far from Ikebukuro, Masaomi contemplates friendship. Mikado receives an unexpected visit from Aoba. Toramaru retaliates against the Dollars. Aoba continues urging Mikado to become the leader of the Blue Squares. Vorona and Sloan pursue Celty. 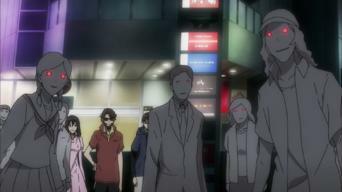 The Awakusu group searches for Akane and Shizuo. The conflict intensifies between the Dollars and Toramaru, as Kadota and Chikage face off. Akane remembers learning the truth about her family. 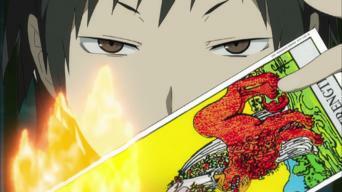 As Izaya's scheme exposes Chikage's girlfriend to danger, Mikado attempts to stop cruel effects of the runaway Dollars. Akane returns home with Celty. Mayhem engulfs the city of Ikebukuro as the conflicts that had been simmering in several places boil over into violence. Mikado gives his answer. Ten of Durarara! !X2 has 12 episodes. Because different Netflix countries have different availability for episodes, you'll need to check the episode listing below to see which are available in the Netherlands. Izaya wakes up in the hospital and looks forward to finding out who stabbed him when they come back to finish him off. 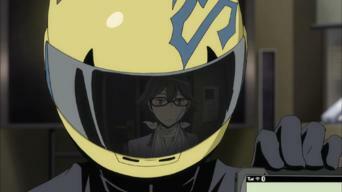 Shinra and Celty take a trip. Namie pays Mairu and Kururi for their information on Seiji, who's on a date with Mika. Later, she confronts Mika in a company warehouse. Akabayashi roughs up some drug dealers, then learns they're part of the Heaven's Slave group. His boss's daughter Akane wants to learn self-defense. Rumors fly about Shizuo in Ikebukuro. After Shizuo and Tom stop in for sushi, Dennis suggests that Vorona start working with them. 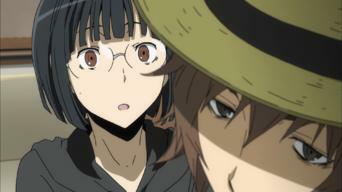 Anri notices that Mikado is acting oddly. While she talks to Celty and Shinra, the chat group reports that Ruri has a stalker in the Dollars. Ruri, Kasuka and Shizuo visit Shinra, Celty and Anri. Yodogiri calls Kisuke. Mikado and Kyohei discuss the Dollars before Ruri takes a meeting. Masaomi returns just in time to get mixed up in the stalker's attacks on Ruri's friends, but the Blue Squares are mobilized to protect them. 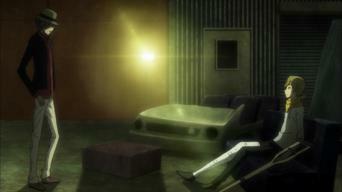 Shiki asks Izaya to look into an underground casino, and Izaya hires Celty to transport a laptop. Heaven's Slave takes an interest in both of them. 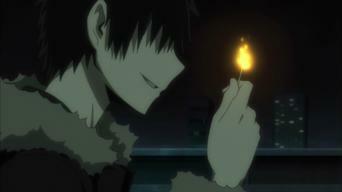 Kasane interviews Nakura about his connection to Izaya, while Celty asks Shinra about an old scar from his middle school years. Wearing a yellow scarf, Masaomi meets Kyohei, Walker and Saburo in the sushi joint with a dramatic request. Aoba runs into Ran on the street. News of the attack on Kyohei spreads, and Walker blames the Yellow Scarves. Akabayashi and Izaya know the truth about Mikado, and so does Masaomi. With Shizuo arrested, Vorona is at a loss and the purge of the Dollars proceeds. 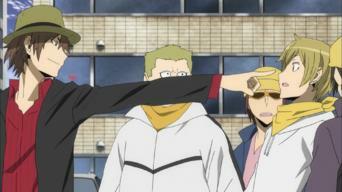 Celty confronts Mikado about his and Aoba's actions. Ketsu of Durarara! !X2 has 12 episodes. Because different Netflix countries have different availability for episodes, you'll need to check the episode listing below to see which are available in the Netherlands. Celty is astonished to find that everyone has gathered in her apartment to discuss their problems. Meanwhile, Shizuo taunts the cops questioning him. Anri goes to talk to Erika at the hospital, but first Rokujo and the Toramaru and then Izaya interrupt them. Meanwhile, Manami visits Haruna. 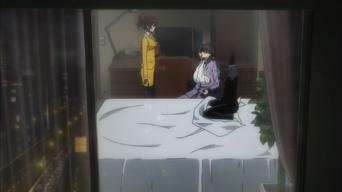 While everyone reacts to the sight of Celty's head, Haruna meets with Anri to make a proposal and Mikado calls Izaya to ask him some questions. Chikage makes the Yellow Scarves an offer they can't refuse and starts a fight with Masaomi. At the hospital, Kasane tells Anri about Saika's past. Kasane pays a visit to Celty and Shinra, setting off a nighttime chase through Ikebukuro. Shizuo is on the prowl, and Vorona contemplates her life. Izaya reviews his plans for Mikado and prepares to eliminate Shizuo, who is out looking for Celty with her horse. Saki introduces herself to Anri. Mikado and Aoba check the message boards and find Namie publicly blaming Mikado for everything. Kyohei sneaks out of the hospital, worrying Erika. Celty recovers her head but appears to have lost her memories. 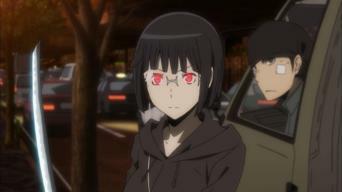 As Shizuo and Izaya face off, a mob possessed by Saika fills the streets. Walker and the others head out to rescue Erika as the crowds under Saika's control surround the sushi joint. Mizuki considers helping Anri. 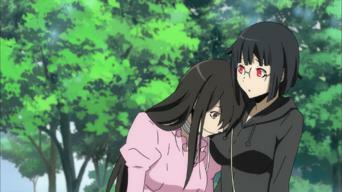 Anri reveals to Kadota and the others what she can do with her Saika. Erika tries to blend in among the zombies and makes a discovery. Masaomi finally reunites with Mikado, but Mikado's plans for the Dollars are already in motion, drawing everyone to eastern Ikebukuro. 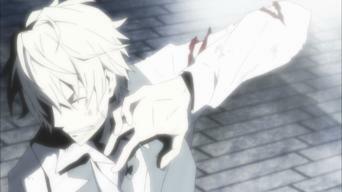 Vorona jumps in to help Shizuo during a final showdown with Izaya. Shinra confronts Celty as she prepares to leave the city.